Spacious home with park-like back yard backs up to common area; New paint, New hardwood on main floor, New granite in kitchen and bathrooms, Open kitchen with bar overhang, Planning desk, Master bedroom with sitting area and walk-in closet, Bonus with build-in cabinets & closet, Laundry can be converted back to 5th bedroom or office, Many subdivision amenities, Great schools, Ready for quick occupancy. Properties marked with the IDX logo are provided courtesy of the RealTracs Internet Data Exchange Program. 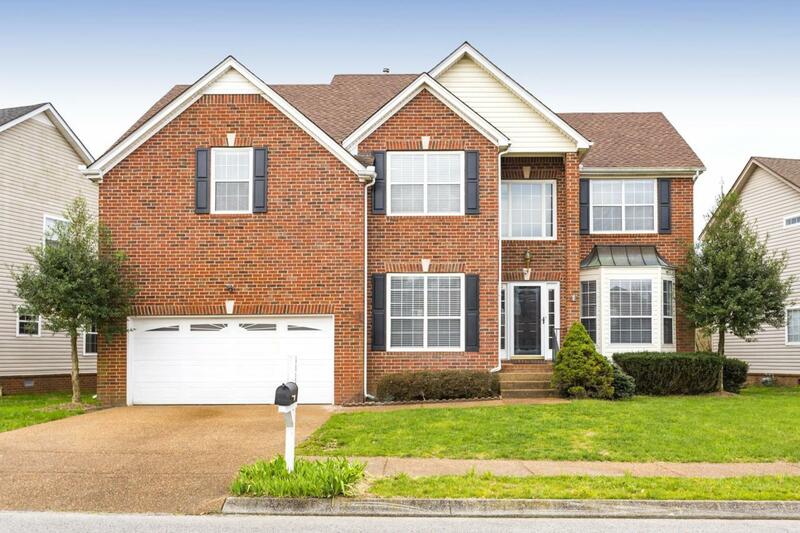 Some or all of the listings may not belong to the firm whose website is being visited (HALO Realty, 615 590-0066). IDX information © 2019 MTRMLS, Inc. Information is believed to be accurate but not guaranteed by the MLS or HALO Realty. IDX information is provided exclusively for consumers' personal, non-commercial use and may not be used for any purpose other than to identify prospective properties consumers may be interested in purchasing. Data last updated 2019-04-19T21:04:50.87.